Apple has been very aggressive in attacking iOS 7 bugs, having released four point updates since 2013 mobile operating system rewrite shipped in mid-September, averaging a patch about every two weeks. However, Apple isn’t done yet and has seeded iOS 7.1 to developers, its first major point release. Boy Genius Report, among a host of others, notes the appearance of iOS 7.1 beta on the Apple iOS Developer website. iOS 7.0.4 hit the streets late last week and targeted a number of less serious issues, a FaceTime calling bug. Bluetooth [known issue] — 32-bit apps running on a 64-bit device cannot attach to BTServer. CFNetwork [fix] — Previously, if the server-side closed an HTTP request with TCP FIN without sending any bytes of HTTP header or HTTP body, NSURLConnection would synthesize an empty HTTP/1.1 200 OK response. This is now fixed, and the request will result in an error instead of a successful load with a synthesized response. Core Text [fix] — Previously, text drawn with CTFrameDraw did not correctly place lines to account for the paragraphSpacing attribute of NSParagraphStyle. This has been addressed in iOS 7.1 beta. Crash Logs [known issue] — Crash logs will not appear in Diagnostics & Usage Data in Settings. The logs will still be available when synced off the device. GLKit [fix] — If loaded with GLKTextureLoader, pngcrush images that have alpha were not unpremultiplied. High Precision Timers [fix] — When sleeping or waiting for extremely precise time intervals, timers were delayed by up to 1 millisecond. iTunes [known issue] — Loading an iTunes Match library (or your purchased music history) may take much longer than expected, especially on larger libraries. If your library does not sync right away, please wait 30 minutes and try to access it again. Multipeer Connectivity [fix] — The MCSessioninitWithPeer: method has now been implemented properly. 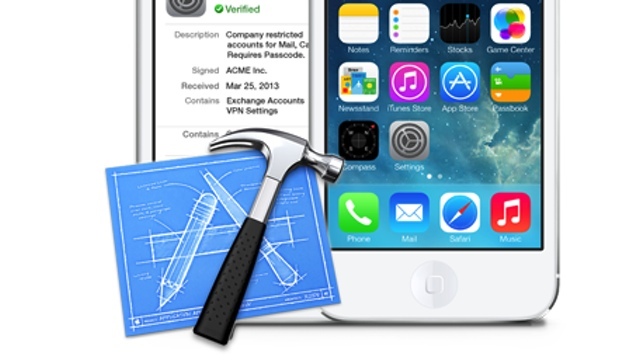 What are you hoping Apple will fix with iOS 7.1?